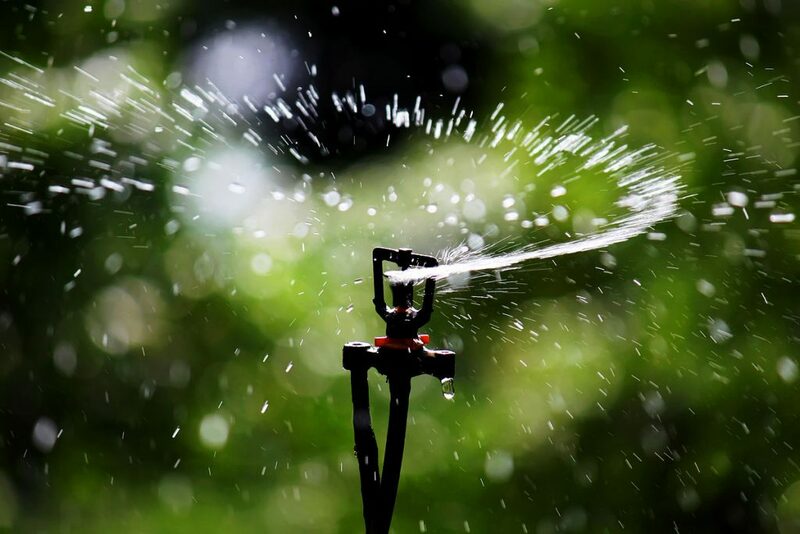 If you want to enjoy a lush landscape throughout the growing season, sprinkler systems may be just the thing for you. 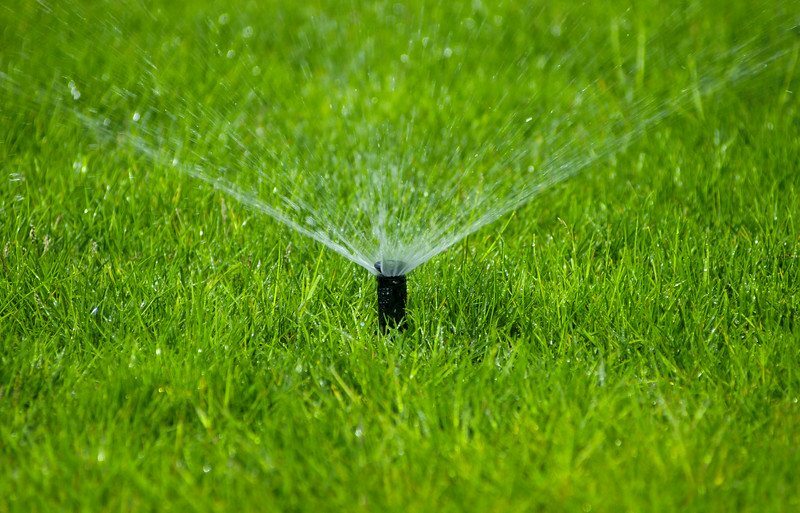 Lawn and garden irrigation, one way or another, is an essential part of caring for your landscape, and sprinkler systems make it just that much easier — especially here in Florida. 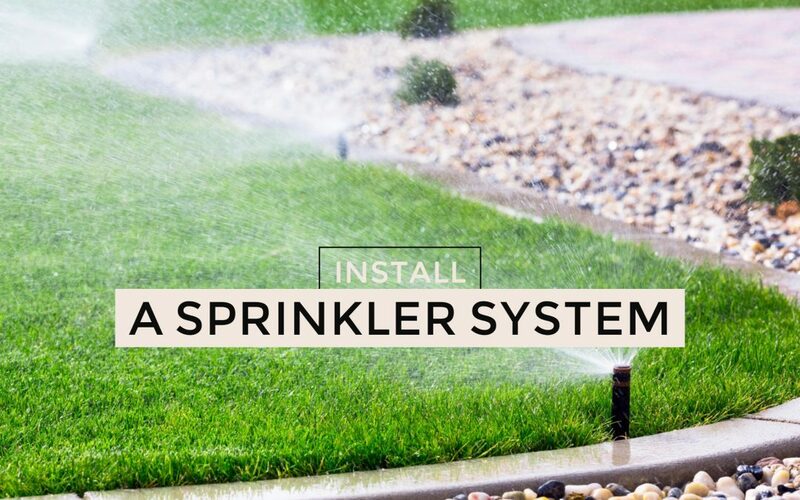 Regardless of whether you’re plotting out a new landscape for your home or are looking for easier, more cost-efficient ways to care for your existing landscape, understanding the kinds of sprinkler systems that are available and how they differ can help you choose the best option for your situation. In this post, we’ll touch on the three common kinds of sprinkler systems and their unique features. Rotor-type sprinklers apply water by use of a rotating head (and are identified by their moving streams of water). More than likely you’ve seen one of these kinds of sprinkler systems in action – and you can pick out one of the older varieties by its sound alone (think “chooka-chooka-chooka-tic-tic-tic-tic”). Rotor systems typically cover an area of 10-40 feet and are placed about 20-50 feet apart or so, depending on the type. Their bodies can be either of the shrub or pop-up style. Pop-up heads help prevent accidental trips and falls — and because they’re underground unless they’re being used, they also prevent accidental damage from lawn equipment. Shrub-style heads are mounted above ground (up to 3′ or so) and are positioned to spray water over taller, denser shrubs. Spray head sprinkler systems distribute their water in a pattern, typically a circle. Because the pattern is constant (unlike with the rotor system), this kind of irrigation system has a high application rate. Due to this application rate, spray head systems are best for more absorbent, flatter grounds where run-off is less of an issue. Like rotor systems, spray head systems can be installed with pop-up heads or freestanding heads. 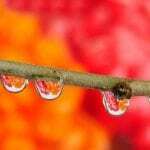 Drip systems tend to make the best use of water, as they apply water directly to the soil or subsurface root zone, which reduces evaporation. 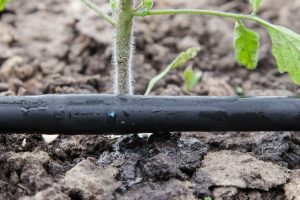 Drip watering systems consist of hoses or tubing with small holes so that water slowly “drips” or sweats out – hence the name. This is the oldest method of irrigation, having gotten its roots in ancient China, where clay pots filled with water were buried underground. Drip watering systems can be as simple as a soaker hose setup laid out around your garden or buried under your garden’s mulch. For a more complex setup, you can add timers and risers. Lowes has some good information on drip systems and a video on installation here. Simple: Irrigation maintains healthy landscapes and conserves water, if done correctly. If you’d like an estimate, feel free to contact us here. If you are like nearly everyone else, you’re busy. Focused on your daily activities, you might turn around one day to find your plantings suffering due to the sizzling temperatures of summer heat. When the beautiful landscape that you’ve spent a lot of time and money on looks terrible, well, it’s yikes time. Don’t let that happen to you! Follow these landscape watering tips to help your garden stay green and thrive when the heat is on! Avoid lightly watering your plants on a daily basis and switch to deep watering to help plants thrive and to create more drought-resistant. Letting the soil dry out a bit also allows oxygen to reach plant roots. For more detailed information on deep watering, visit this link from Oregon State University. 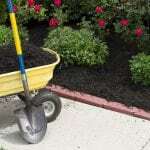 Mulch applied at a depth of 2-3 inches around the base of your plants helps retain moisture and keeps the root system cool. Mulching reduces the amount and frequency of watering, encourages beneficial organisms (like earthworms) and also looks great. You’ll also find you’re weeding far less often! This system takes advantage of gravity and collected rainwater to deliver water to your plants’ root systems as needed. Visit YouTube to learn how to create your own rain barrel drip irrigation system. 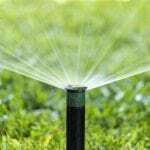 Those who want to save time, water and money, while protecting their landscaping investment, might also consider the benefits of installing a traditional irrigation system with sensors. These systems deliver just the right amount of water to your landscape when it’s needed. Those who have them swear by them. If you’re handy, you can install a traditional system yourself. 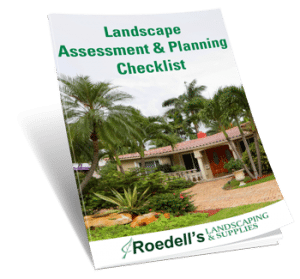 If not, look to get a local contractor like Roedell’s Landscaping. 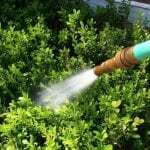 Avoid heat-of-the-day watering, which speeds evaporation, and opt for early-morning watering. One exception to early-morning watering time is when temperatures exceed 90 degrees. 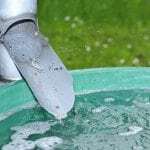 At those times, employ additional “spritzing” – watering with a sprinkler for 5 or 10 minutes – to cool off plants and reduce stress during the hottest hours.